How can countries monitor progress towards more sustainable and inclusive economies? The newly-developed Partnership for Action on Green Economy (PAGE) Green Economy Progress Measurement Framework is a tool designed to enable countries to measure green economy progress across a period of time, and conduct cross-country comparison of national efforts to transition to greener, more inclusive development paths. 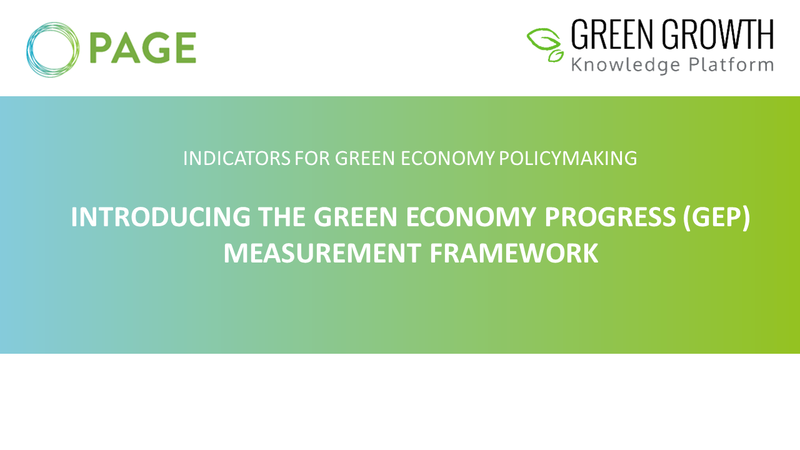 On 20 September 2017 (4:00 PM CEST), PAGE and the GGKP held a webinar to introduce the framework and review country experiences with indicators for green economy policymaking, including a case study on Mauritius. The presentations and a recording of the webinar are available here below.